The youngest and funkiest of London's live jazz venues is everything a jazz bar should be - small, friendly and in love with music. The live acts at the Jazz Cafe come from every genre influenced by jazz, and it's one of the best places in London to hear classic soul, old skool hip-hop and reggae and laid-back breakbeats. The crowd varies from night to night, but they're always an up-for-it bunch. Given a much needed £3 million revamp in 2016, it reopened under the Columbo Group (the company behind XOYO, The Nest and Blues Kitchen) with "urban / art deco" decor and a 69-seat dining area on the mezzanine level. The London-based pairing of James Cullen and Dan Cobb performs electronica and pop, originals. The collaborative project of Milo and Elucid celebrates the release of a self-titled debut album on a Fearless Vampire Killers Tour. Habibi Funk and Lefto, plus Dom Servini, spin their choice of funk, hip hop and Latin tracks. Trumpeter Claude Deppa and his accompanying musicians perform a tribute to the African singer. Zakia is on hand to supply the night's disco, house and soul tunes. Playing guitar and singing, the artist performs his bossanova songs. The collective mixes Afrobeat and Latin styles in its original material. The electric bass player launches his album Journey To Shambhala with a line-up that features trombone star Dennis Rollins MBE. With support from PBUG. What are the best dining options near The Jazz Cafe London? The Jazz Cafe gyms, sporting activities, health & beauty and fitness. 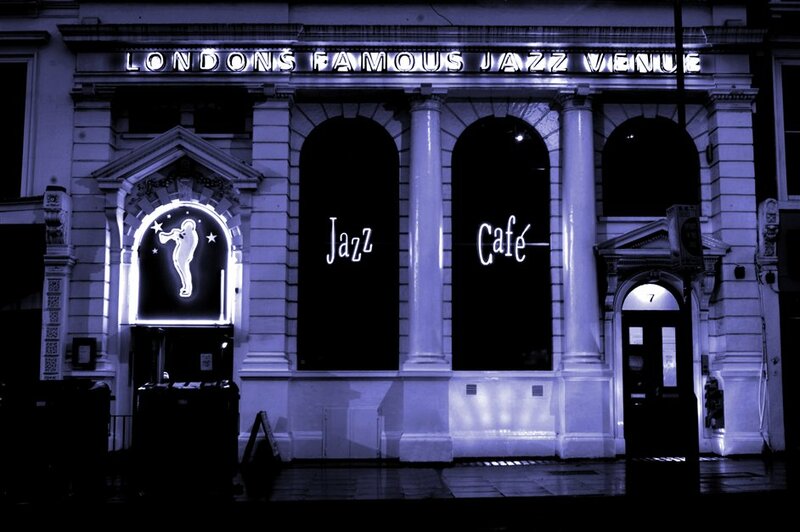 The best pubs near London The Jazz Cafe. The Jazz Cafe clubs, bars, cabaret nights, casinos and interesting nightlife. Where to have your meeting, conference, exhibition, private dining or training course near The Jazz Cafe. From cheap budget places to stay to luxury 5 star hotels see our special offers for The Jazz Cafe hotels, including Hilton London Euston Hotel from 73% off.